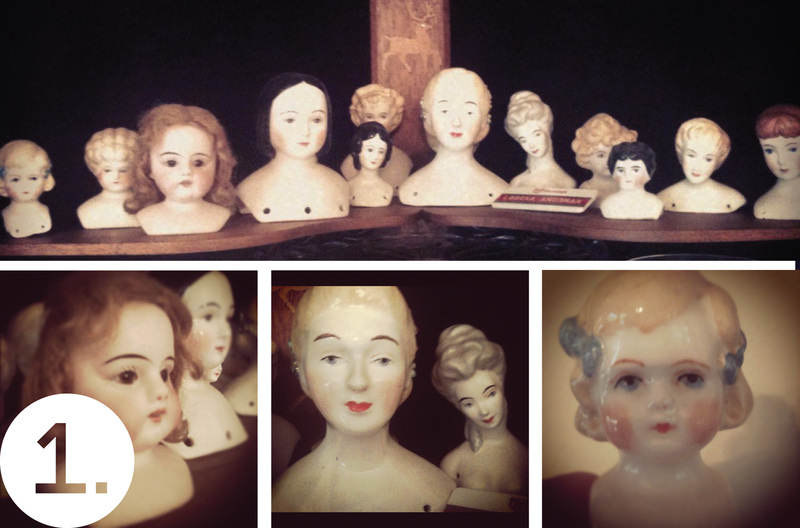 Where they came from: Each of these heads were purchased at an auction from a doll museum at the coast. Why it’s special: Because I went to this auction with a good friend, and they’re unique. They’re part of a doll history. Each is different. Plus they creep people out, but not as much as the box of doll parts that I had to get rid of. They take up less room than a bunch of whole dolls. Where it came from: My great-grandmother Stoups’ family, Minnie May Stoup. They’re all engraved. Why it’s special: They’ve been in the family a long time, and they’re really cool. 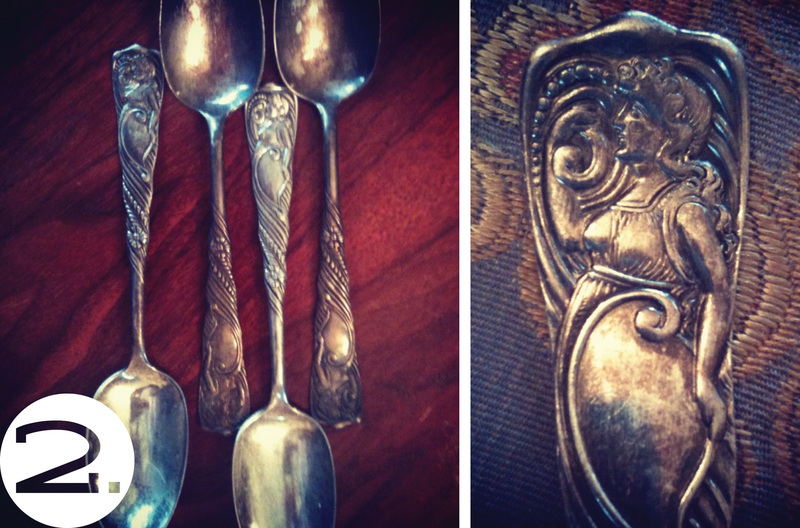 And don’t you think Fat Lady spoons are kind of funny? Where it came from: Your great-grandmother Davis. She had this to kill varmints. Why it’s special: It’s really cool. Although I think if you tried to shoot it, you’d probably blow your head off. Where it came from: This belonged to my Grandma Sophie, one of my favorite people ever. Why it’s special: We always had great holidays at her house, with all my cousins, and we’d all sit around this table – and I got to put it in my house. me: what was his name again? 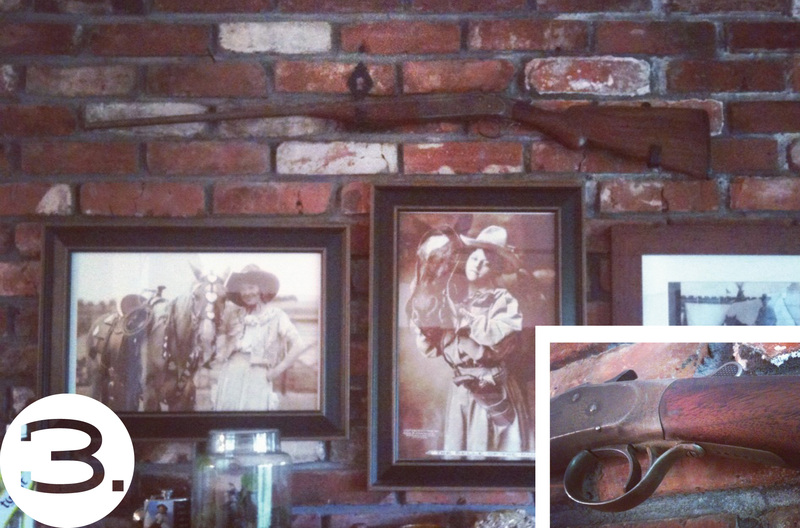 Where it came from: This is passed down to the Davis boy who will keep the Davis name going. 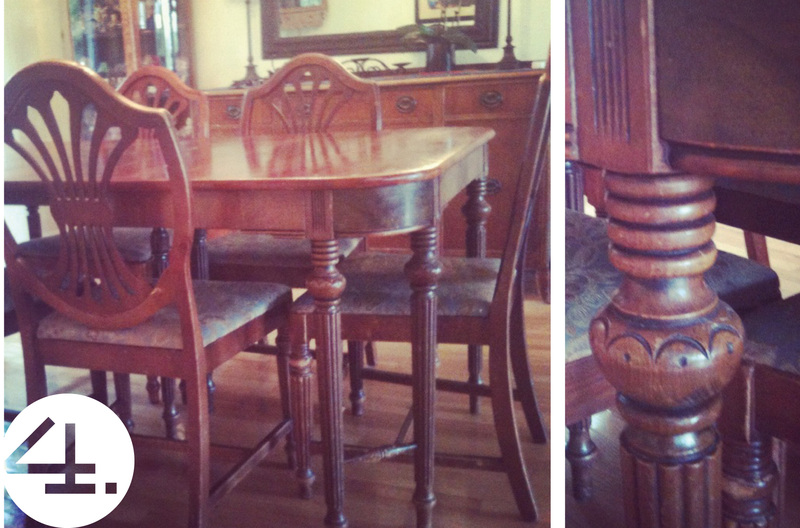 Why it’s special: It’s pretty and ornate and it is significant in a line of men who have all been woodworkers. The lineage of carpenters through the generations. Thank you for reading! And thanks to my Mom Shelley for helping out with this today. Haha, thanks Terri! We got around to it eventually, it was just one of those “reallY? ?” conversations. 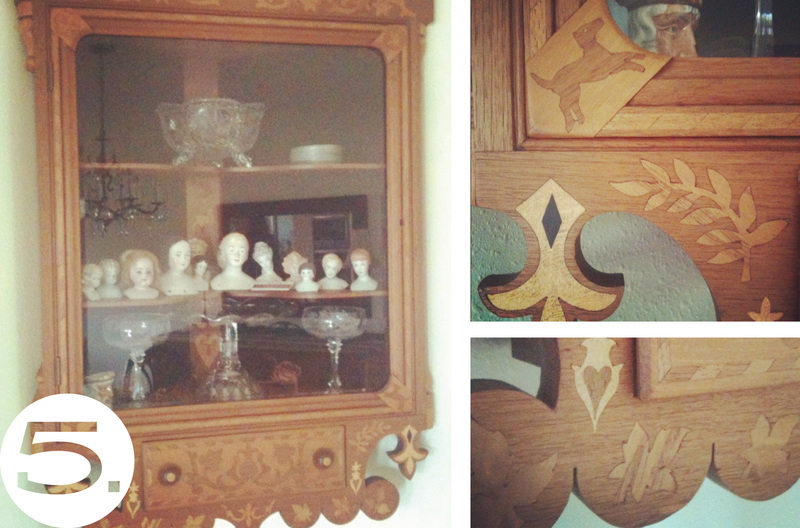 The cabinet is gorgeous! Was the cabinet maker trained? It looks like folk art to me. I’m not sure if he was “classically” trained, but my great-great grandfather made this! I come from a long line of wood workers, something to be proud of. Terri, close, but not quite accurate. Albert Glenn Davis was our Great Grandfather; but his father made the cabinet… William James Davis. WJ was a well known cabinet maker in the Lexington /Heppner area. He had a mill as well, and the water power that ran the mill also powered his saws and tools.